There are a huge number of places on the human body that a wart can appear. In fact, they can pretty much show up anywhere. Your arm, your feet, even the inside of your throat – no place is immune to them. A virus known as HPV is what causes all warts, and different strains of it is what will determine what type you get. For example, genital warts are from a different version of HPV than plantar warts, and are both transmitted differently. Sometimes you may find warts on your hands. And although a wart usually goes away on its own after months or years, you might find that you want to gather all the information you can on hand warts and figure out a way to get rid of them. Children are more likely to get hand warts than adults. When you get a wart on your hand, it’s caused by HPV. It gets into your hand through tiny breaks in your skin and settles into the epithelial cells of your hand’s topmost layer. Once the virus activates, it replicates itself repeatedly until building up and forming a wart. HPV thrives in warm, moist places and is more frequent in areas that are shared by multiple people. As for hand warts, children are usually more susceptible to them, considering they touch unclean surfaces more commonly than adults do. There’s more to it when it comes to how you get a wart. From contact, to replication, to growth, HPV becoming a wart is a whole process. 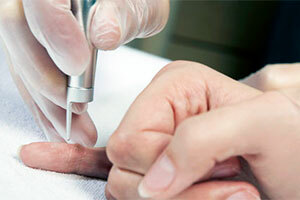 To find out more details on what causes warts on hands, go here. Different strains of HPV will cause different types of warts. On hands, you can have more than one type present at a time. One thing that many types have in common are the black dots you may find in the center of them. Sometimes known as “seeds”, these dots are actually coagulated blood vessels. It’s not quite as easy as you think it is to spread a wart. You generally won’t get a wart just by touching the hand of someone who has one. However, if you’ve got an open break in the skin and a wart that has a break on it as well is rubbed against it, then the viral particles from the broken wart can possibly infect a new area of the body. Palmer warts: These are warts that show up on the palm of your hand. Because of the sensitive nature of the skin there, it can be slightly more tricky when it comes to treatment. Warts here can also be more irritating, as they’ll get in the way with everyday activities like grabbing things, driving, or housework. Common warts: Just like the name suggests, these warts are the most common looking. They are usually skin colored or pink, but can show up as brown or red as well. Common warts stick up from the skin with a rounded shape to them and smooth surface. Warts that are small: Not all warts are large – in fact, they can be very small, sometimes so much so that you wonder if they’re a wart at all. Remember that the size of a wart can vary from pinpoint to larger than an eraser head. Warts on the back of your hand: Warts can show up on the back of your hand just like they can show up on your palm, alone, or sometimes in a grouping. Finger warts: Warts on your finger can be annoying, since you use your fingers every day for hundreds of tasks. Usually, they’ll be rounded with a smooth surface. For more information click here. Warts under your fingernail are called periungual warts. Warts in more than one area of your hand: If you’re really unlucky, you’ll get warts on many areas of your hand at once. This can happen easier than you think, depending on the way in which you catch the HPV that causes the warts. Sometimes, your hand can touch the same HPV-infested surface in more than one area, or sometimes you can spread it from one area to another. I’ve Got Several At Once – What Should I Do? As if one wart isn’t enough, now you’ve got several. Once you find that you’ve got a wart, first you should decide if you want treatment. If the growths are bothering you enough, then take a look at what options you have available to get rid of them. Luckily, hand warts are a common type of wart and so frequently treated, responding well to standard methods. During some treatments, a large blister will cover the area where the wart was located. Sometimes, viral particles can circulate in the fluid inside the blister and settle back into the skin, causing a new wart. This is called “Donuting, ” named so because of the ring-like shape the new wart is formed in. If this happens, consult a physician so they can provide you with the right treatment to get rid of the donuting wart. And remember, don’t pick or pop a blister that forms over your treated wart, as this can cause donuting to happen. In general, having more than one wart on your hand won’t pose a health risk to you. The only thing it might do is increase discomfort and irritation. If you don’t mind how it looks and they’re not getting in the way, you technically don’t need to do anything but wait for the warts to hopefully go away on their own. If you’re thinking about pursuing treatment for your wart, there’s so much to choose from it might be overwhelming. 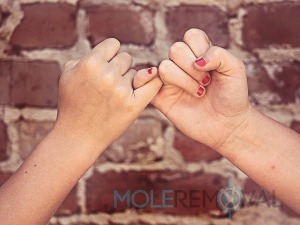 To learn more about how to get rid of warts on hands, go here. Your hand can be a difficult place for a wart. It’s hard to hide, you use your hands every day, there’s sensitive skin… what a nightmare. Fortunately, there’s a myriad of information on the subject to help you figure out what to do, and a ton of options when it comes to getting rid of them. Kill the pesky growths, then use those hands to wave goodbye to warts for good.